The words of " Araby's Daughter" occur in Moore's " Fire Worshippers," the third story told in " Lalla Rookh." 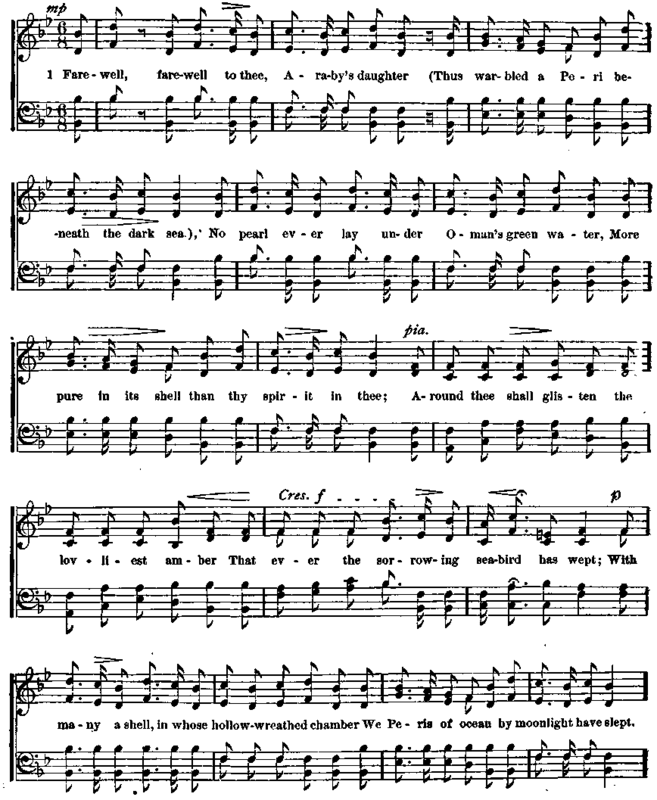 The air was composed by E. Kiallmark, an English musician, who was bom at King's Lynn, Norfolk, in 1781. He was left an orphan at a very early age, but kind relatives cared for him, and fostered his fondness for music, and he became celebrated as a teacher of the art. When twenty years old, he married a Scotch girl, and he afterward arranged some of the most exquisite Scottish music.